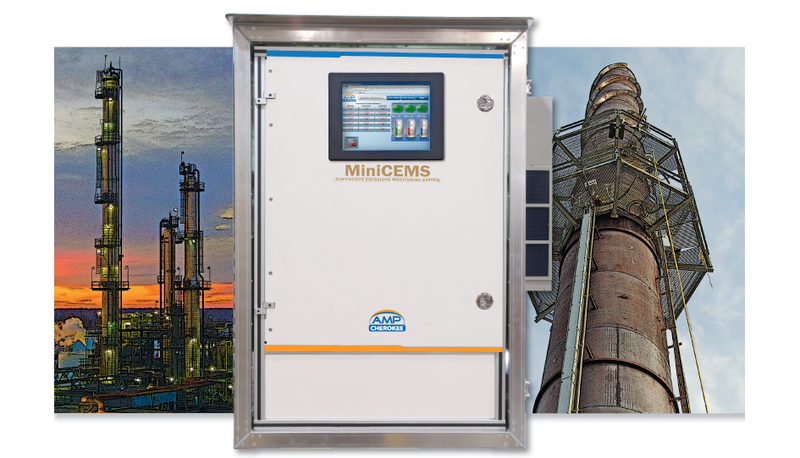 AMP-Cherokee’s MiniCEMS© is a climate controlled, full-featured walk-up CEMS for monitoring nitrogen oxides, sulfur dioxide, carbon dioxide, carbon monoxide and oxygen. The MiniCEMS© is ideal for 40 CFR 60 Subpart Db emissions monitoring of gas and oil combustion sources. For applications that do not require a walk-in shelter, the climate-controlled MiniCEMS® can be located anywhere in the plant as a temporary or permanent monitoring solution. Download our CEMS/MiniCEMS Applications Data form to receive a quote for your process and compliance monitoring requirements. Open Architecture DAS. HMI Network Connectivity. 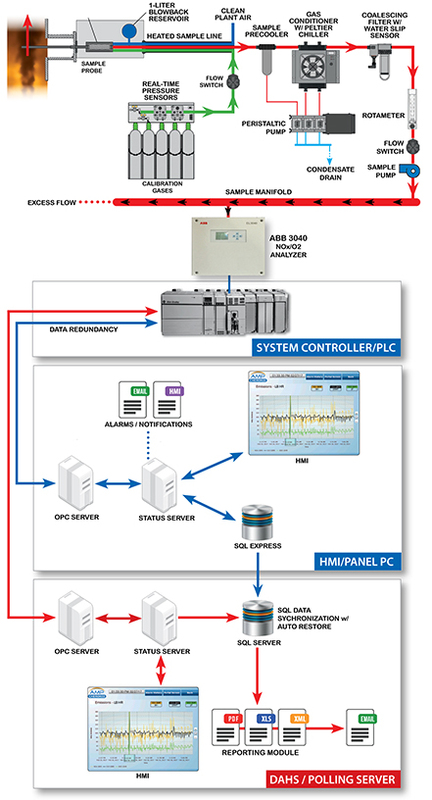 Our open architecture DAS ProLogix™ data acquisition and reporting software, combined with our HMI Interface and Allen-Bradley® PLC, controls all facets of the CEMS and provides network connectivity and remote monitoring. Permanent, Temporary or Process Monitoring. MiniCEMS© is the most flexible solution for any monitoring application - from permanent emissions monitoring to process test applications. We also offer rental and lease-to-own systems with quarterly and annual maintenance plans. The MiniCEMS® contains all the sampling and conditioning controls of a full scale CEMS with quick maintenance and easy access to all components.